Fernando’s Film Review: ‘Inside Llewyn Davis’!! The Coen brothers return to give their homage to starving musicians and the art of folk songs. Seen through the eyes of folk musician Llewyn Davis, the film captures a week long span, and perhaps the most eventful weeklong span, of one man’s continued attempt to make it. Some will be sure to think of Llewyn Davis as their patron saint and will immediately love this film. There will be undoubted bonding with this dream of the starving artist; remaining under-appreciated, but never waning in determination. A more cynical eye might find the character more irritating than anything else; a man whose drive places everyone second to his own ambition. What is wonderful about this film is that the Coen brothers let you see both views simultaneously, not through any tricks or plot devices, but simply through masterful story telling and amazing direction and editing. Each scene looks perfectly in tune with the time period. The smallest details of New York City are recreated to take the viewer back in time to this classic era of folk, and the cinematography falls perfectly in line with the tone of the film. The cold streets of the city reflect the sad songs of the folk tunes central to the film. Speaking of the folk tunes, the music throughout is phenomenal, and you can expect the CD shelves at Urban Outfitters to soon be swamped. Oscar Isaac not only proves himself as an actor, but equally as a singer. His biggest strengths shine through his complete emulation of a starving musician, and his voice resonates with the pain of his past and the turmoils of his journey. I, for one, could not see this film as following a “protagonist.” Rather, this is a snapshot of a man, intermingled with some surreal character appearances. It is textbook Coen, and that’s always a good thing in my book. 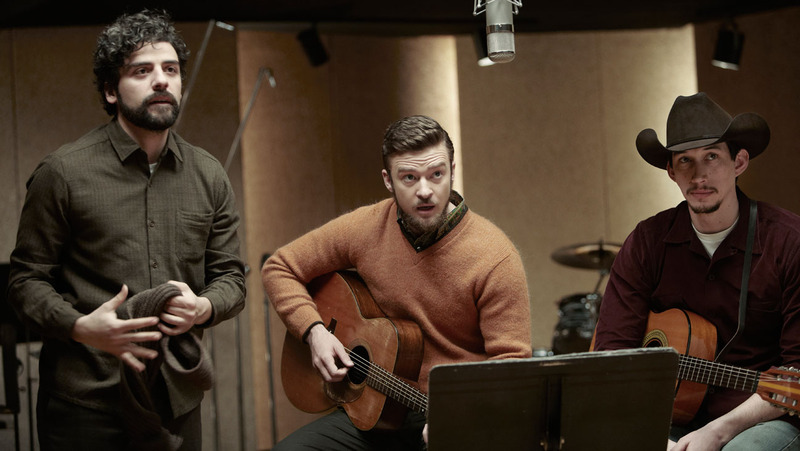 Film Review: ‘Inside Llewyn Davis’!! This entry was posted on Friday, December 20th, 2013 at 10:51 am	and is filed under Film, News. You can follow any responses to this entry through the RSS 2.0 feed. You can skip to the end and leave a response. Pinging is currently not allowed. « Film Review: ‘Saving Mr. Banks’! !